Use of adsorbent materials for low-grade waste heat recovery applied to lines for the production of pasta. Industrial processes involving significant energy consumptions face strong challenges due to rising electricity costs and environmental problems. Therefore, developing methods for energy efficiency improvement is becoming an increasingly important issue. 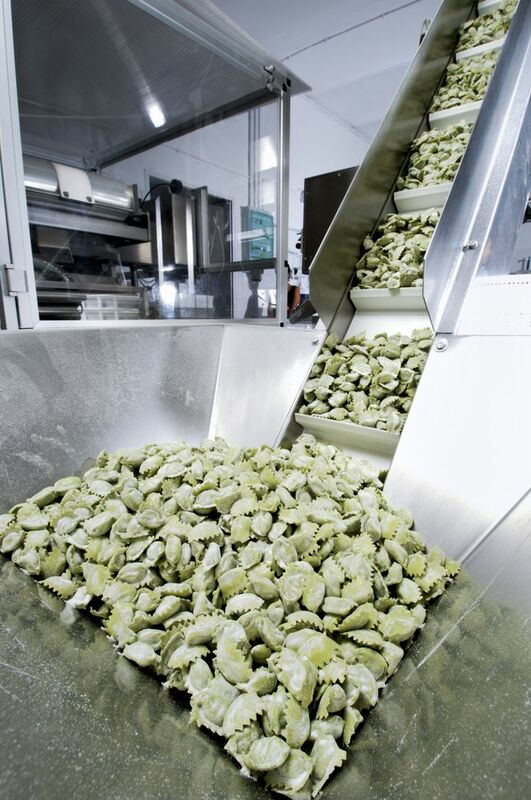 Against this background, a recent study conducted by a group of Italian researchers (Bellocchi et al., 2017) presents an innovative technology for low-grade waste heat recovery applied to the pasta production process. According to the authors, in fact, such heat represents a high portion of the total energy input, and its recovery would represent a significant improvement of the process efficiency. The technology proposed in the study is based on advanced adsorbent materials (so-called metal organic framework compounds, MOF) specifically applied to the drying process of alimentary pasta. The flow of humid and warm air resulting from this process is a high-enthalpy waste heat source that, if recovered, can significantly improve the efficiency of the pasta production process. The study shows that the presence of MOF compounds immediately makes available the heat released during the adsorption cycle, allowing a continuous circulation of thermal energy. MOF compounds must be regenerated at a high temperature, but the thermal energy used for this operation can be recovered by condensing the evaporated water by the MOFs themselves. The authors finally point out that for a conventional drying system, with an efficiency of 60%, the implementation of adsorbent materials would result in a reduction of approximately 40% thermal energy necessary for the dehydration of the product. In conclusion, to validate these preliminary results, further investigations are still needed to carry out experimental tests by changing the main operating parameters of the process. Development of a digital camera for the detection of cracks in spaghetti (noodle) samples. During the production process of spaghetti – especially during the drying phase – unwanted structural cracks are formed, which reduce the commercial value and quality of the product. Hence, for the sector’s industry it is very important to detect the cracks during the manufacturing process with a simple and reliable system. However, the presence of mottles, originating from wheat bran, hinders this particularly complex operation. In this respect, a recent study conducted by a group of Japanese researchers (Ogawa & Adachi, 2017), presents a method based on the use of a simple digital camera. The authors point out that this method makes it possible to distinguish the cracks and mottles by pixelating the transmission light image of the spaghetti and analysing the image based on the geometric characteristics of all the pixels. Furthermore, the method was able to detect the cracks induced in the samples with a rough as well as a smooth surface, according to the type of extrusion molding used on the line (bronze die or Teflon die). Finally, the position of the crack on the product can be approximately identified by gradual fractionation of the image of the product. In conclusion, although the results so far obtained are promising, further investigations are necessary before implementing the method on industrial lines, validating it with a larger number of samples and in different processing conditions.